Carinata seeds can be pressed into a high protein meal after the oil is extracted. 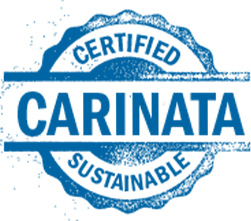 Certain Carinata varieties have up to 46% protein content, putting it on par with the most widely used, best sources of protein in the feed world. Carinata meal is also non-GMO and sustainably producedwith no indirect land use change. It’s an excellent option for producing livestock feed without placing any extra pressure on farmland.